Madison is much improved and stronger plant than the regular Confederate species. More details below! 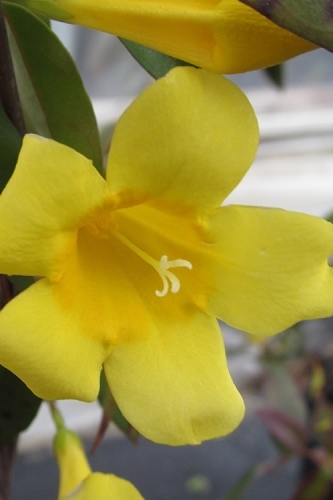 Note: For our customers who live and garden north of USDA Plant Hardiness Zone 7a, where this Jasmine variety is not winter hardy, you'll be happy to know it can be grown in containers that can be brought indoors during winter and placed back outside when temperatures warm up in spring. 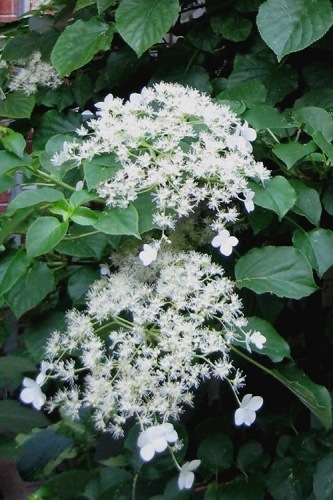 That said, this vine grows quickly so you might have to cut it back some before bringing it indoors. 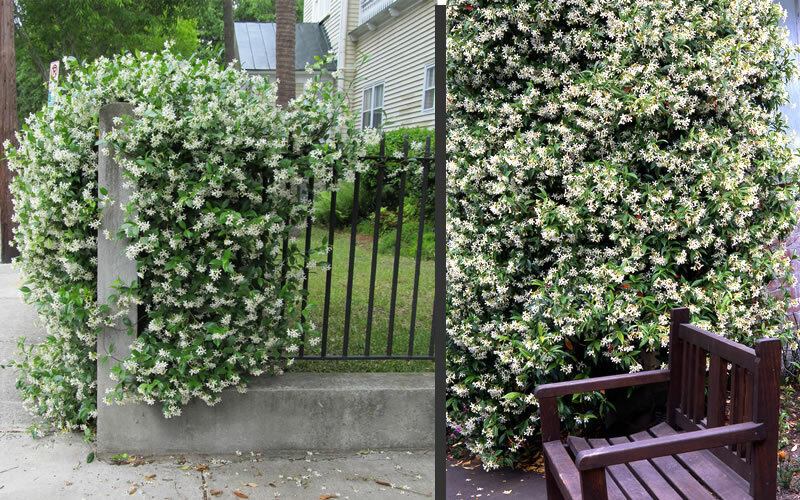 In almost every category, 'Madison' is a much improved Confederate Jasmine. 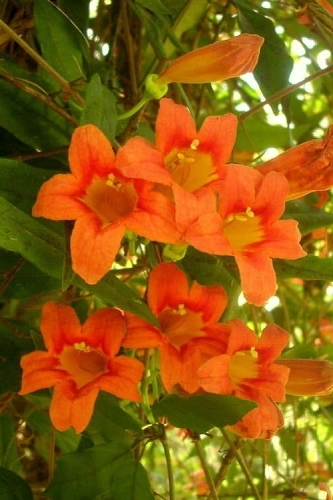 It produces more flowers with a sweeter orange-blossom aroma, has improved cold hardiness, an extended blooming period, slightly larger leaves, and has a more compact growth habit than other Trachelospermum varieties. 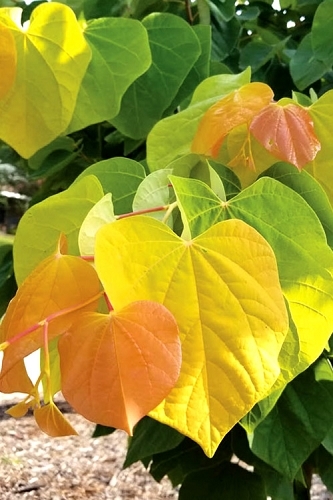 Although both 'Madison' and the standard Confederate jamines both sport glossy evergreen foliage, Madison's leaves have a fuzzy underside as well. 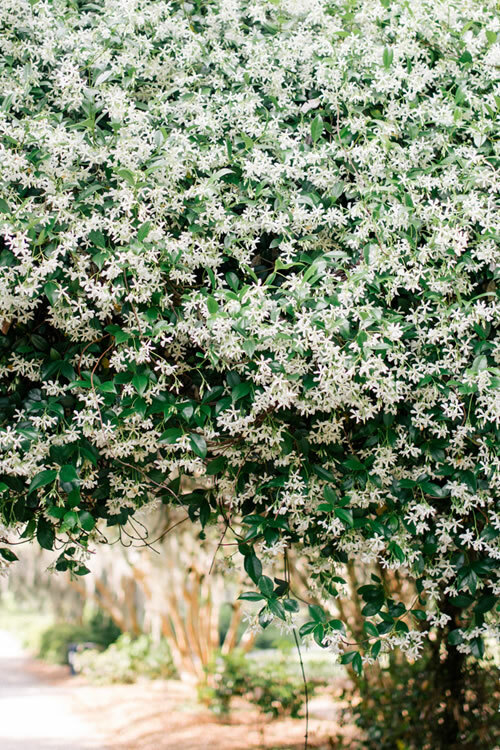 For those gardeners that live and garden in USDA Zone 7, you now can grow a fragrant Confederate Jasmine vine... just make sure that it's a Madison! 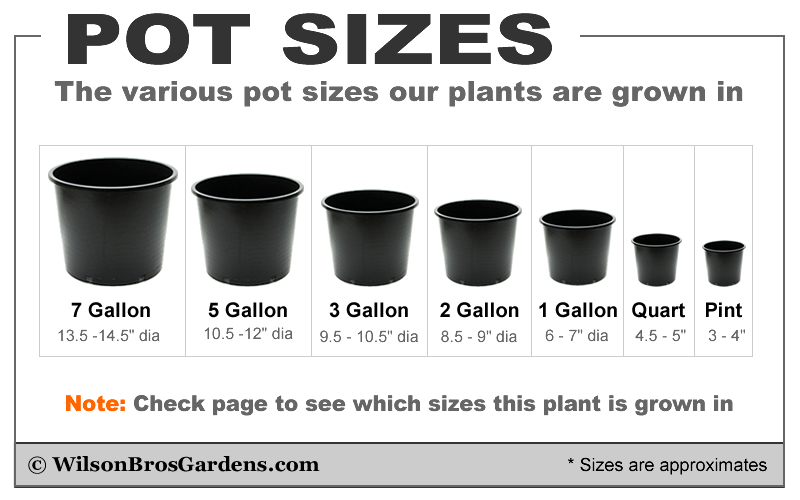 Note: In USDA Zone 7 spring planting is advised to allow the plant to establish itself before winter. 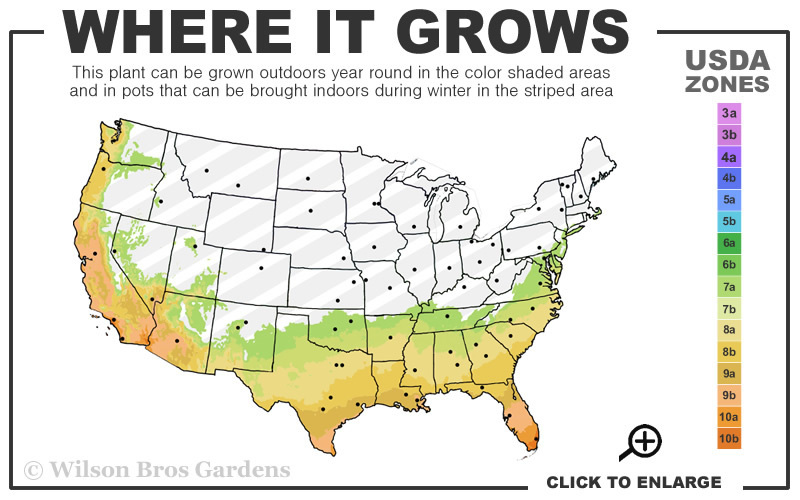 In USDA Zones 8 and further south the vine can be safely planted year round. 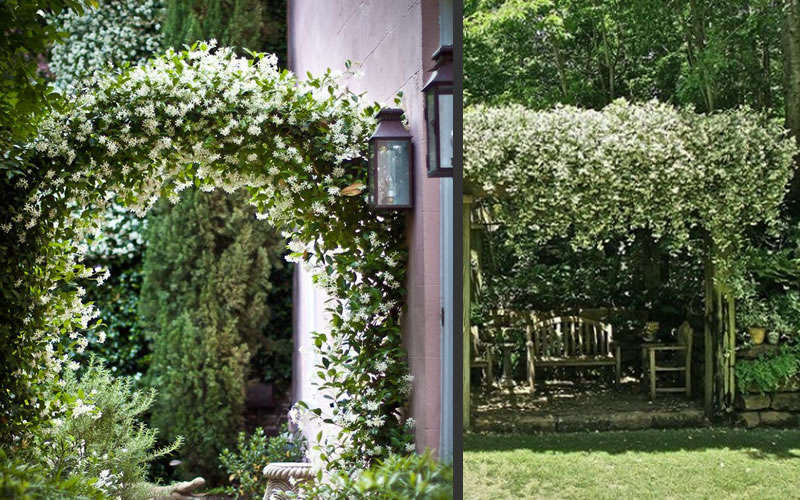 Growing quickly to 12 feet or more in height or length and 2 to 4 feet wide, Madison Jasmine is ideal for use to climb along the top of fences, on a trellis, on a mailbox, or over an arbor or any other structure that might benefit from or support this magnificent fragrant vine. 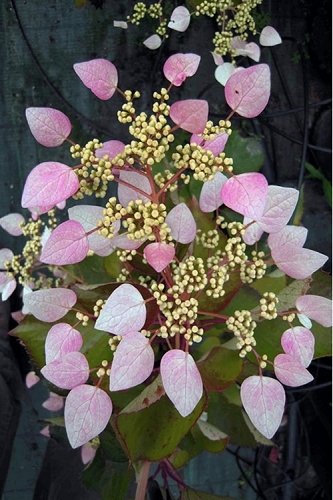 It can also be useful as a ground cover for slopes or embankments where it will sprawl and naturalize, or to climb into smaller trees where early flowering is especially noticeable. 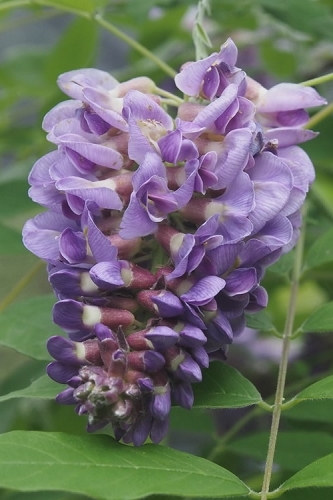 To better and more often enjoy the wonderful fragrance, make sure to plant this one near windows or outdoor living spaces. 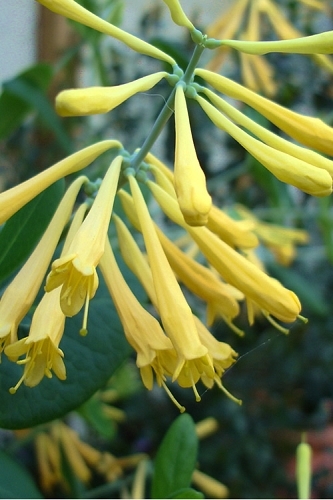 Needless to say, the fragrant flowers make this vine a must in sensory gardens! 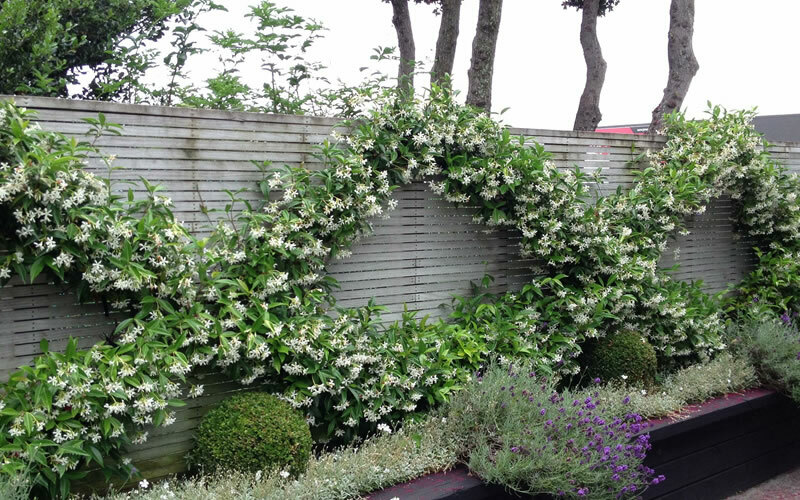 Madison Confederate Jasmine tolerates a wide range of soils. 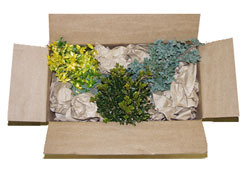 It will tolerate somewhat damp soils but is also quite drought tolerant when established. It prefers growing in sun but will tolerate some afternoon shade. In warmer climates the vine would appreciate a little break from the hottest part of the afternoon sun. 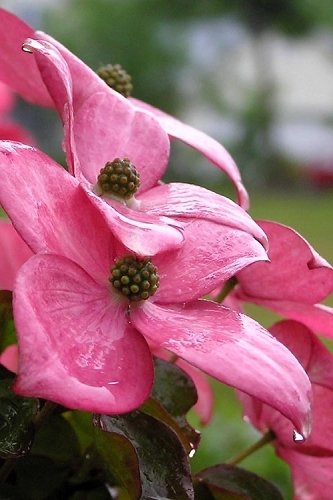 Fertilize once a year with a well balanced slow release fertilizer. 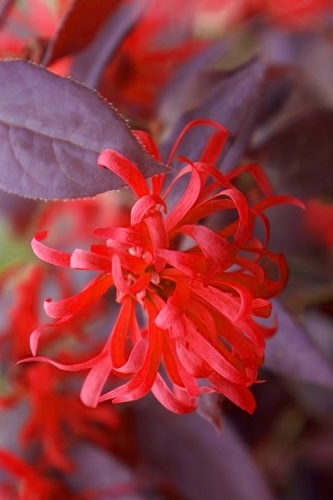 If you need to prune do so in very early spring or soon after it finishes flowering in summer. 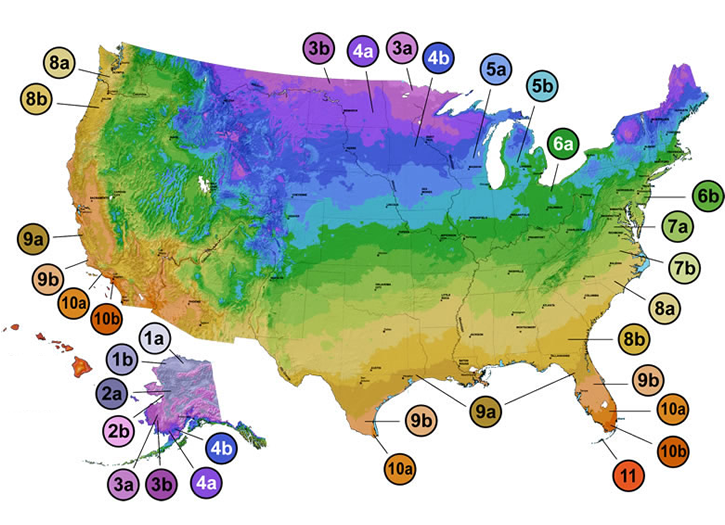 Cease pruning at least two months prior to the average first-frost date in your area. 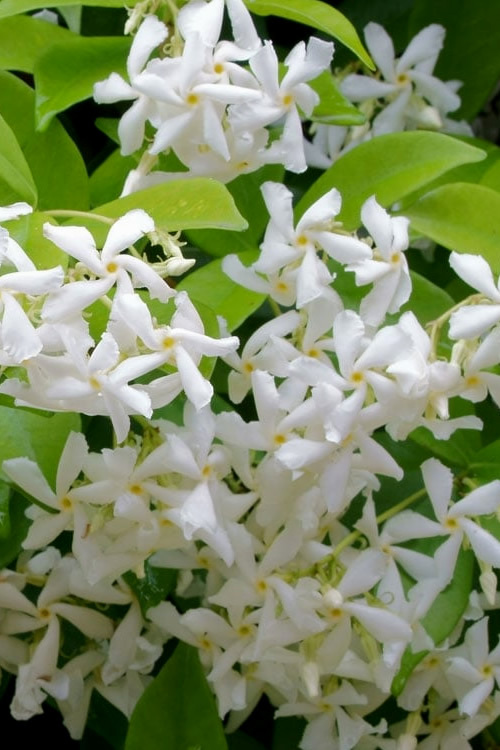 Click on a link below to find helpful advice from our experts on how to plant, fertilize, prune and water a Confederate Jasmine vine.